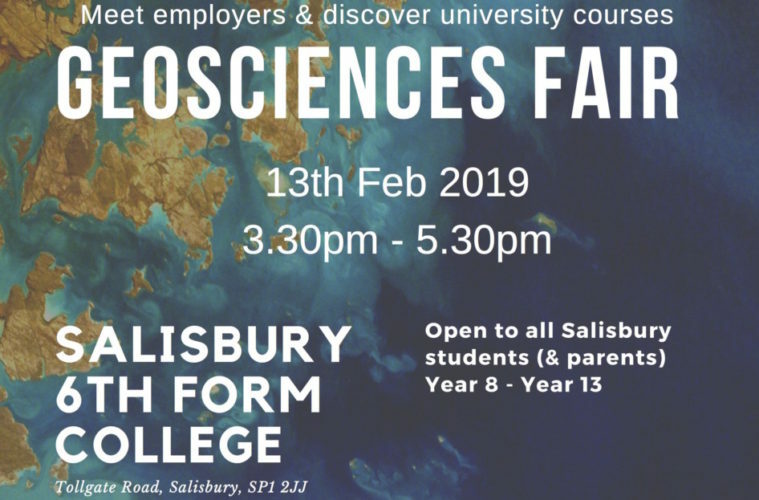 Salisbury Sixth Form College is hosting its first ever Geoservices Fair on Wednesday 13 February 2019, giving students in the area the chance to meet representatives from universities and businesses face-to-face and find out more about this expanding sector. Sponsored by local organisations including leading local heritage consultancy and educational charity, Wessex Archaeology, the fair is open to all local students in Years 8 – 13 from 3.30pm to 5.30pm, as well as their parents or guardians. During the day, invited Year 10 students will take part in interactive workshops held by some of the attending organisations. Between 4pm and 5pm, short talks will be on offer about various career choices. 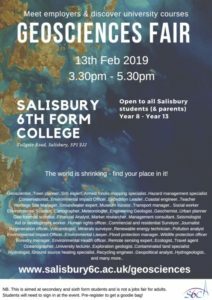 “We’re delighted to be offering such a diverse selection of organisations and universities to enable students to gain a real flavour for the industry and the opportunities open to them,” said Nadine Tunstall, event organiser and Head of Geography at Salisbury Sixth Form College. Attendees including the Environment Agency, Ordnance Survey, Wessex Archaeology, ESRI and Mott MacDonald, who will be on hand to offer insights into career structures and the day-to-day lives of those working within the industry. Representatives from Geography, Earth Sciences, Environmental Sciences, Geology and Oceanography departments at Oxford, Southampton, Portsmouth, Exeter, Birmingham, Bournemouth, UWE, Plymouth, Cardiff and Royal Holloway universities will be able to provide information about courses and qualifications to get students into their dream roles. Dr Louise Tizzard, Director of Geoservices at Wessex Archaeology, added, ‘We are very excited to help sponsor the fair and encourage the next generation of professionals working in this diverse and interesting area. At Wessex Archaeology, we are always finding new and exciting ways of understanding our past, and developing our scientific techniques and investing in people with Earth Science skillsets is a key part of this.